and digitize 3D objects, 2D documents, and live video. Attach the uniquely-designed, hands-free camera to your display to minimize desktop space and simplify real-time object and document capture and visualization. Enjoy full compatibility with your Windows 10 environment. Create life-like 3D digital images by rotating an object in your hands or positioning underneath the camera on your desk. Integrated 3D SLAM tracking and scanning technology constructs the model in real time while automatically removing your hands. Scan 3D objects with computer graphics-friendly resolutions and hyper-realistic texture that maintains separate diffuse color, displacement, and normal maps that are ready for rendering and VR applications. Collaborate more visually by sharing and zooming in on high resolution captures and live videos of real-world objects, sketches, and documents alongside presentations and software to demonstrate complex concepts. Download and install the HP WorkTools suite of applications that enhance Windows workflows. Capture content in 2D with the Capture WorkTool, or 3D with the award-winning Camera3D WorkTool. Keep captures and assets on the Stage WorkTool clipboard. Scan, crop, and straighten your documents and export as searchable Adobe PDFs. 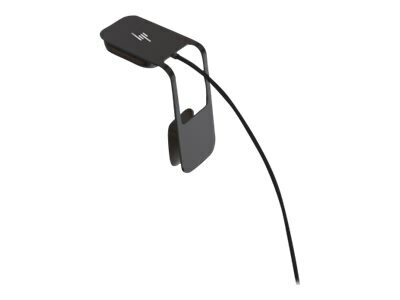 HP Z 3D Camera is compatible with most of the current HP Z and E series monitors. HP Z 3D Camera is not available in all regions. Assembly and all components will comply with HP’s GSE, low halogen and other applicable environmental specifications.